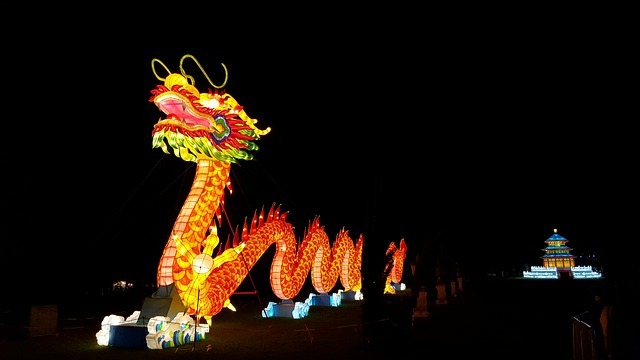 Most people have probably seen images and reconstructions of the Chinese dragon. Big, long, looks a little bit like a lizard, has no or very small wings and flies. Well, there is only one little flaw in that description, according to some of the books on the topic. Dragons may be mythological beings, but it doesn’t mean they are magical. They still apply to the laws of physics. This meaning, they cannot fly unless they have the wings for it. Obviously, the bumble bee disputes this, but the dragons are not really like a bumble bee. They need to have wings big enough to fly, if they are to fly. So far, we know the Chinese dragon can’t fly, since it has wings way too small, if any wings at all. But the idea of it flying must come from somewhere, right? Well, since the Chinese dragon is one of the more lissom ones, very flexible and also very strong, it can move very quickly. It can sometimes almost look like it’s flying when it quickly moves in the mountains, in the forest and wherever it is. With it being able to climb mountains very easily, it’s easy to understand that it might look like it’s flying. So in conclusion, the Chinese dragon can not fly. It has very small, or no wings. However, it is very lithe and flexible, so it may look like it’s flying when it moves. Therefor it might have gotten the reputation that is now widely spread. Even a mythological being like the Chinese dragon must follow the laws of physics.